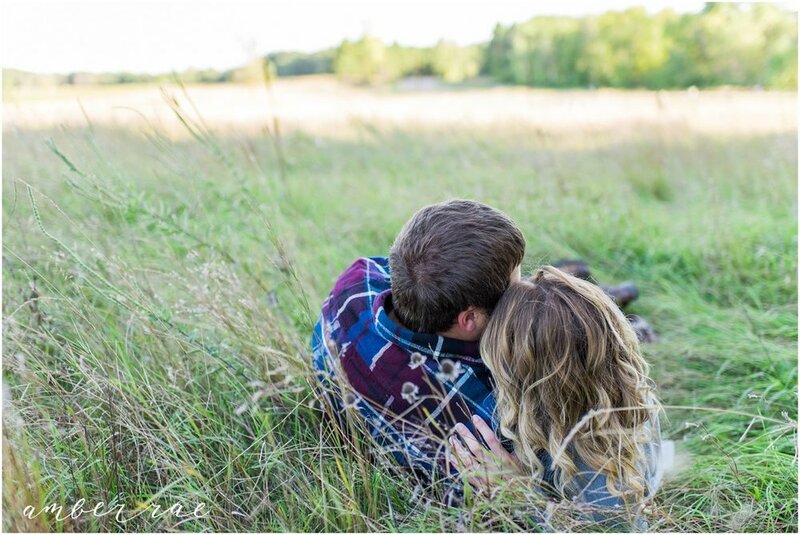 Who doesn't love a subtle, lovey dovey session down wooded trails, complete with kisses and of course laying in fields? If you DO love that sort of stuff . . . you're in for a real treat! 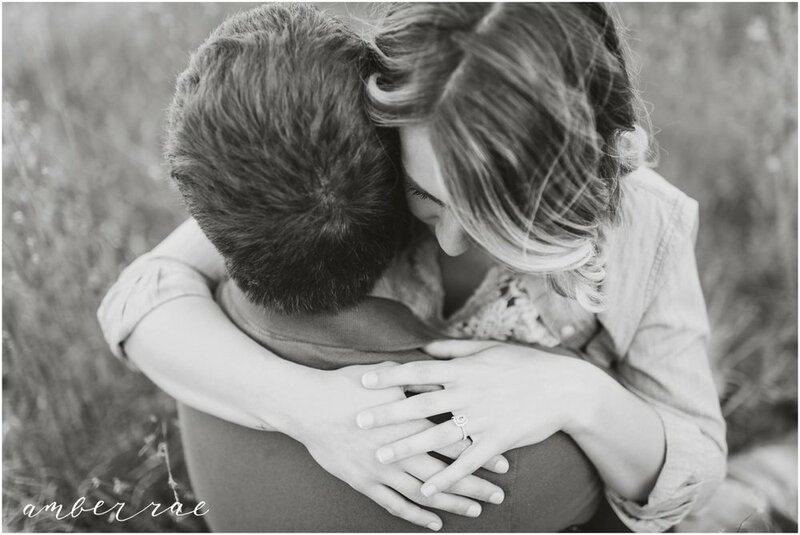 David and Sarah's Engagement was just that. 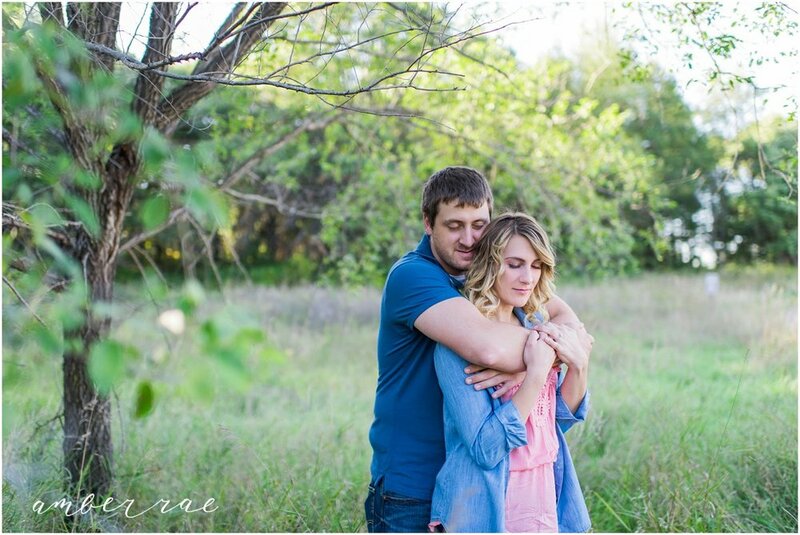 Apart from me feeling completely cruddy that day, I promised to make everything work out since it was David's last possible day to schedule their session before his busy season at work started. And boy am I glad I did. there is the proposal story. Like many other couples, Sarah and David met each other first online. They had their first date and were both feeling pretty "meh" about it. Both of their mother's pushed for them to go back out, so they did. It wasn't until after the second or third date that Sarah knew David was the one she was going to be with. She wasn't sure what it was about him, his smile, the way he looked at her, or the way their conversation seemed to flow. She just knew. About a year and a half later in September 2013, came Owen -- their lovable, energetic ball of joy, (and adorable white blonde) son. They both already knew they were going to be together for the long haul -- but it wasn't until October of 2014 that David decided to make it official. She rushed into David's arms wrapping herself around him laughing, smiling and out of breath as Owen shouted "mommy, mommy!" 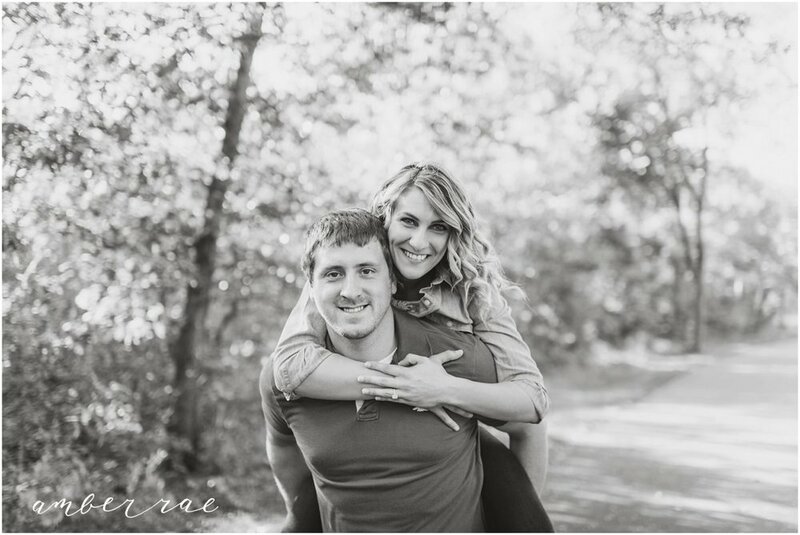 Kisses, hugs, and wedding thoughts flooded the house that night as Sarah accepted David's proposal.